On the eight anniversary of the accession to the EU we can safely say that Bulgaria lied. It did not keep its promise to complete the reforms in the judiciary in exchange for its accession in the EU on 1 January 2007 unprepared. Bulgaria lied to the other member states that its problems were just technical and it would resolve them quickly. Not only it did not solve them, not only are they not technical but with every year they are becoming more and more impossible to control. The latest report of the European Commission on the situation of the promises, summarised in the Cooperation and Verification Mechanism (CVM) is a real shame. It is a mockery of the confidence of the other member states who believed that Bulgaria will really do what is necessary to be a worthy signatory of the EU founding treaties. Why the noise, you might say. Because, as a member of the EU, Bulgaria has access to much more money of the European taxpayers than it did as a candidate country. This means that the European citizens were not only lied to but they were deceived. Just like they were deceived by Greece. Not only that but Bulgaria is also part of the single market. This year's report under the CVM is almost literally repeating the findings in last year's. The few changes that can be found in the text are rather to the worse than to the better. The most significant change, however, comes from the European Commission. For the first time this year the report was not presented in the traditional way by a spokesperson of the Commission in front of all the journalists in Brussels at a news conference live-streamed by the audiovisual service of the Commission (EBS). There are several reasons for that change, as euinside was told by the Commission. The first is that the spokespersons' service has been entirely reorganised after the appointment of the new Commission in the autumn. 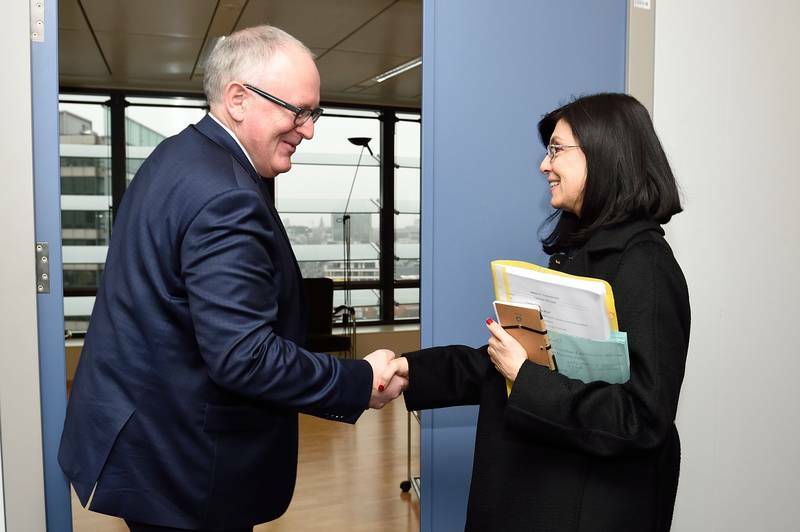 In the previous Commission, the task to present the report to the public in the EU and especially in Bulgaria and Romania was given to the well known spokesman Mark Gray. But he is gone and the Commission's spokespersons are much fewer in number. Another reason the Commission stated was that the schedule of the EBS was too busy with issues from the college and other issues which is why there was no space for the news conference on Bulgaria and Romania. The third reason is to some extent related to the second. The decision the press conference to be dropped was additionally motivated by the fact that it affects only two member states whereas the other topics on the schedule concern the entire EU. A very wrong thinking but about this later. Instead of the usual public press conference there was only a technical briefing which is not public. So, access to it had only the accredited correspondents in Brussels. There was an idea the briefing to be open via a video connection for journalists in Sofia and Bucharest but this idea appeared in the very last moment which is why there was no technical possibility to be organised in time, as we were told. In case a thought crossed your mind that those are just petty details, in fact this is a very serious problem because the new Commission took a hard commitment for more transparency and has a major priority to defend the freedom of expression and media. Bulgaria and Romania both have serious problems with the media environment, especially Bulgaria, which is why depriving the already few unbiased media from the possibility to report on the presentation of the report with all the clear or hidden political messages does not at all work in that direction. Of course, a press conference does not remove the obligation of the media to read the report carefully, together with its technical part, but how it is presented speaks a lot about the European Commission's changed attitude to the CVM in general. In Brussels are accredited no more than 5-6 Bulgarian correspondents, while in Bulgaria there are tens of media a large part of which are controlled by Delyan Peevski's empire. How does the Commission expect then the conclusions in its report to reach the public? At the moment the only speakers on the issue are the national authorities. In the case of Bulgaria, those are people who are part of the problem. It is a nonsense to be left to speak about resolving it. Talking is actually reduced to a blame-game and promises for new reforms. As if there have been any reforms so far. The conclusions in the report are so worrying that it is, indeed, odd that it is reduced to the interest of two member states only. There is no progress in the fight against corruption, as the general impression is of "a weak and uncoordinated response to what is a systemic problem throughout the public administration. Shortcomings identified in previous CVM report remain". The findings are the same in terms of another important benchmark - the fight against organised crime. "The fact that high-profile organised crime figures were able to escape from justice on the eve of a final verdict in July 2012 was a source of widespread concern, but the fact that nobody was willing to take responsibility for this, and that no steps have been taken to guarantee that this could not happen again, is an even stronger reflection on the difficulties of the system to address the problems". As a matter of fact, there has been another escape of justice quite recently. "Concerns about important public appointments being decided in a nontransparent way and involving strong economic and political interest groups was further strengthened by several high-profile appointments in the course of the past year". And although in 2014 the Commission does not report on any direct attacks of the executive against the judiciary, "concerns persist about the independence of the judiciary in Bulgaria". There is no progress also in terms of public procurement where "a complex and ever changing legislative framework has made it even more difficult to create a culture of objectivity and rigour. Some business voices are losing confidence that a tide of manipulation of tenders can be stemmed". Why is the failure of the CVM a problem for the entire EU? The answer goes without saying - because the EU is a single market which is getting growingly single. Apart from that, the integration in the EU as a result of the crisis and the new geopolitical challenges has deepened significantly. At the last meeting of the EU finance ministers (ECOFIN) in Brussels on 27 January was adopted the agreement with the European Parliament on the new rules for money laundering and financing of terrorist activities. The issue was raised by France after the attack on the Charlie Hebdo office with an appeal the member states to accelerate the adoption of the directive and the regulation. The aim of the two pieces of law is to ensure a clear mechanism to establish the real owners of companies. The legal entities will be obliged to also have registers of the identity of people who are the real owners of the company. This legislation expands also the scope of the provisions about the politically exposed persons, which means those who may represent higher risk by virtue of the political positions they hold, to now also include “domestic” (those residing in EU Member States) (in addition to 'foreign') politically exposed persons and those in international organisations. This includes among others heads of state, members of government, members of parliaments, judges of supreme courts, etc. Now, take all this and put it over the CCB case, Delyan Peevski and his media empire which is both his and not his. Let us not forget the Belvedere scandal where there was an attempt two affiliates of a French company to be stolen because of manipulated "random" distribution of cases and dependent judges. In the technical report, the appointments in the judiciary are very deeply analysed, especially when it comes to how random the random distribution of cases is. The analysis does not speak well for the system and this is a real threat for all foreign investors. Ultimately, the Belvedere case became a case only after the French ambassador in Sofia publicly announced that there are "rotten apples" in the Bulgarian judiciary. He is not the only ambassador of a EU member state to have complained of problems for investors because of the judiciary. At a discussion last year on the occasion of the European Commission justice scoreboard, the ambassador of the Netherlands in Sofia, Tom van Oorschot said that very often companies invest in Bulgaria through the Netherlands because of the independence of the Dutch judiciary. He then underscored that the rule of law is of prime importance for economic development. 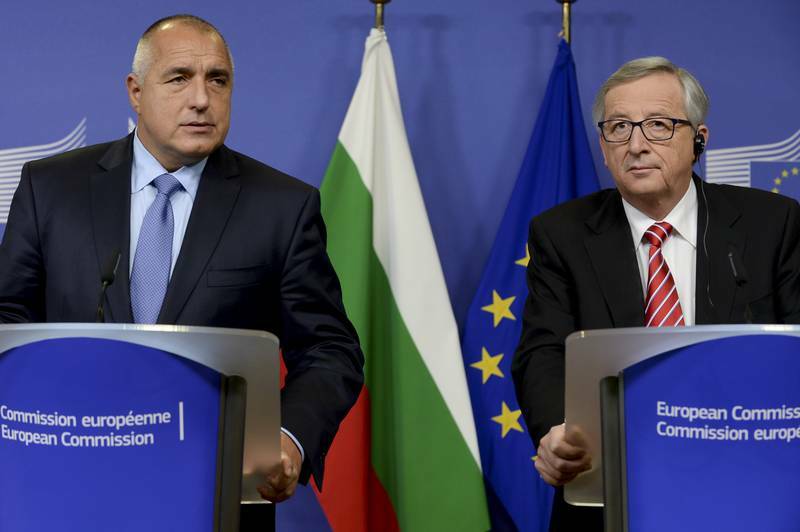 The reports of the Commission make it clear, though, that there is no rule of law in Bulgaria because laws are changed frequently to the service of one political party or another or an economic group. The former ambassador of the UK in Bulgaria, Jonathan Allen, also complained of uncertainty for new investors in Bulgaria. A serious problem are the public procurement and also the cancellation of already concluded contracts, he said at the same discussion. The lack of really independent, accountable and self-cleaning from the "rotten apples" judiciary has a huge impact not only on the fight against the financing of terrorists and money laundering. That lack will become especially tangible in terms of another piece of legislation that is currently being prepared at EU level. This is tax evasion. The issue has become especially hot after the LuxLeaks scandal broke up. The lack of any progress in the fight against corruption and organised crime, for its part, has a direct impact on the EU also in terms of the protection of the external borders and the fight against illegal immigration. After the attacks in Paris, the EU is expected to tangibly tighten the control of the Schengen borders. 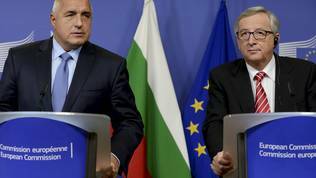 Bulgaria has been unable for several years to become part of the Schengen precisely because of the lack of progress under the CVM. And although many Bulgarian governments insisted the Bulgaria's membership not to be linked to the results under the CVM it is more than clear that with such a level of corruption and unpunished organised crime there is no way the member states to allow membership. At EU level, exchange of information about the movement of suspected terrorists or financial flows to them is currently discussed, but if a country is capable to allow the collapse of a bank like CCB, what is the problem to allow intentionally or else to detect financial flows to radical elements? So, the reports on Bulgaria and Romania - both external borders of the EU, especially Bulgaria which borders with a problematic candidate country - Turkey, whose role in the conflicts in the Middle East is considered controversial - affect not only these two countries. Bulgaria also borders with the candidate countries in the Western Balkans which are believed to be one of the channels for traffic of people, weapons, drugs. The region is also one of the sources of fighters for ISIS in Syria. With the constant changes of the State Agency for National Security (DANS), criticised in the report as bringing uncertainty and doubts whether they are really necessary, how can the country be expected to be a reliable partner? That is why it is very harmful the Commission to underestimate the importance of the CVM for the stability of the EU. Moreover, the geopolitical conflict which has been expanding is mainly about values. How can the EU defend its values globally if it is unable to ensure them within the Community? For years there has been a feeling that the CVM does not work and is failing. This has a direct impact on the enlargement of the EU to the Western Balkans. Instead of finding a solution, though, the Commission is practically sweeping it under the rig and has even switched off the spotlight that at least once a year illuminated the problems. The excuse with the busy schedule of the EBS is groundless because if the Commission is really committed the CVM to succeed it should have organised the reports to be presented personally and publicly by Juncker's right hand - the first vice president of the Commission Frans Timmermans who is responsible precisely for the rule of law, the fundamental rights and the EU values. It could have organised a special event to present the reports together with specific recommendations and even threats. In the report, it is hinted, as a matter of fact, that the Commission will continue to freeze EU funds, but this is highly insufficient. The reports could have been presented in one of the two capitals to demonstrate the Commission's commitment and to avoid only the national authorities to talk about it. The most important priority for the Commission now is the investment plan. The vice president responsible for that plan, Jyrki Katainen, is currently on a tour across the EU to present it. He is meeting representatives of the business, non-governmental organisations, companies, parliaments. Why? Because he wants this plan to succeed by accumulating as much support as possible in the member states. This plan is directly related to investments which, for their part, are directly related to the availability of an independent and efficient judiciary. Why is the CVM not as important for the Commission given that it is the basis for the overall pan-European rule of law mechanism, presented last year and given that the lack of rule of law has the same potential for spillover or problems as the euro area debt crisis? Why the reports were not presented in the parliaments of all the member states (not only of Bulgaria and Romania), in front of NGOs, the business? The Commission itself admits in its report that there is civil energy for reforms in Bulgaria. Why then the Commission does not stand behind the public and does not support that energy? It is true that the Commission is facing many challenges but it would be wrong in the long-term to discard some of them. 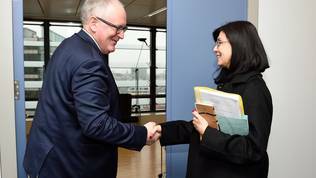 If the Commission really considers the rule of law so important to deserve a special vice president, it should urgently change its approach to the CVM and in the same time enhance its pressure on the member states to adopt the new rule of law mechanism. The more the adoption of this mechanism is delayed the more hostile governments will appear in the capitals and a collapse of the rule of role will be a collapse of the EU. Without exaggeration.